30th June to 5th July 2014 there was a workshop in Rijeka on Tito’s ex-military boat called Galeb now parked in the harbour. Under the Flag of Displacement was a site-specific MA workshop with mentors from three AdriArt partner universities and guest mentor Ulay. 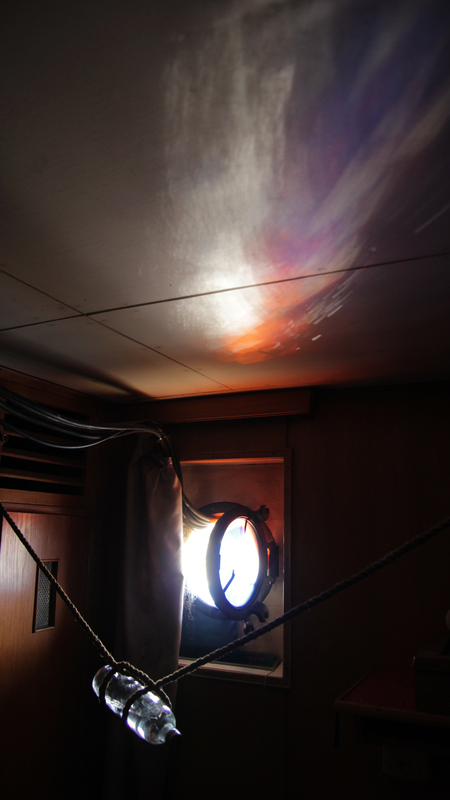 During this 5-days mobility I studied natural movement and light onboard to make a time- and site-specific installation called “Chief Engineer’s Cabin, 16:32-19:48″. Here is a video documentation of the installation and here is Rijeka’s post about the opening event.